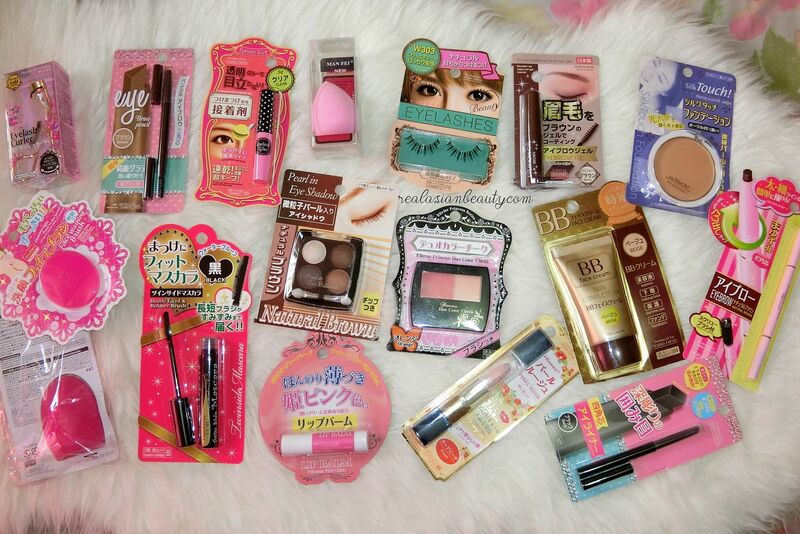 Real Asian Beauty: Daiso Japan Makeup Haul + Tutorial and Review! 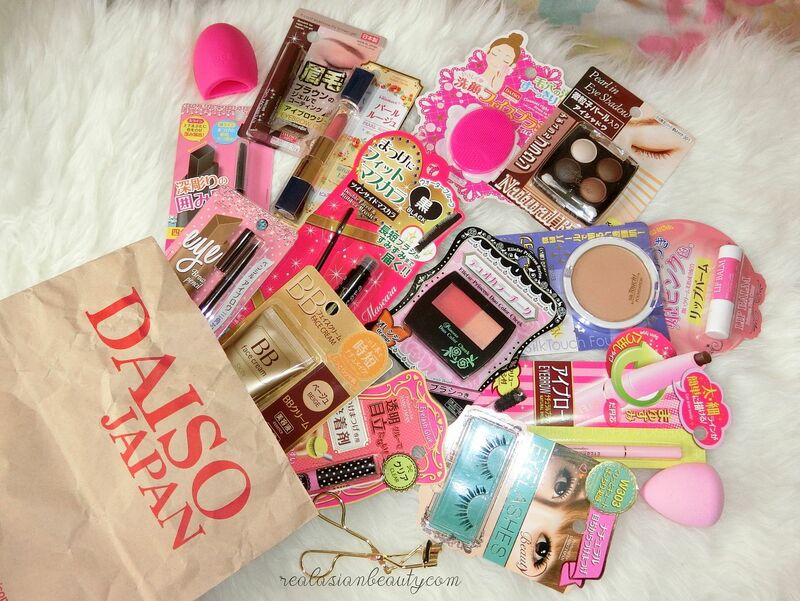 Daiso Japan Makeup Haul + Tutorial and Review! Daiso has been around for quite some time already. But I used to not be a fan of it since all I can remember was me getting dizzy each time I would enter the store when was younger because they had a lot of stuff inside! But 2 years ago, my Mom and I went to Daiso store in Robinson's Magnolia just to kill time. I was so impressed at how many cute, unique and cheap stuff they sell! Since then, I have never been to a mall that has a Daiso store in it without me going inside the Japanese shop. I just have to see what new items they have! My room now is filled with a lot of stuff I got from Daiso for just Php 88! I am still organizing my room but I can't wait until I'm able to film my very own ROOM TOUR video!  Yes, you heard it! ROOM TOUR! Hehe I'm excited to show you the cute stuff in my room that were from Daiso! Aside from room decorations, kitchen utensils, toys and toiletries, they also sell some Japanese Makeup. I got intrigued one day and decided to buy a few items. After that, I thought you would want to know if their makeup is good so I decided to film a tutorial / review video! Here is everything that I got from Daiso! It's surprising how their make-up line is complete from BB Cream, Eyeshadow, False Eyelashes to Highlighter! I know you are curious. I got 15 items and each item costs Php 88 each. So in total, I spent Php 1,320 (~ USD 28) for this video tutorial. I liked almost half of the items I reviewed. But some of my favorites are the false eyelashes and the eyelash glue. They remind me of Dolly Wink products! Such pretty flat lay! 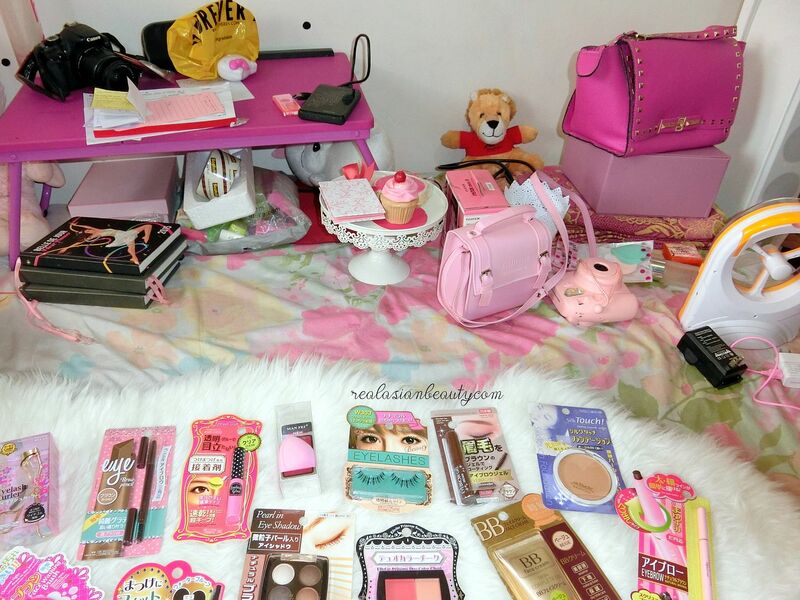 So cute, girly and organized! You're most certain that the background is also as nice, organized and cute as the stuff on the feathery cloth, right? WRONG!! Hehe This is what most followers of Bloggers and YouTubers don't know. Sometimes, for just a single flat lay photo, we turn our room upside down, sometimes even inside out! Anyway, here is the look that I came up with using all Daiso makeup products! I am still trying to improve my makeup skills. But I hope you like the look I came up with.